Innovative Intelligence® - Innolect, Inc. | Innolect, Inc.
It’s in our INNOLECT name, with the green as the link – and to help people say our name right. It symbolizes our commitment to infuse fresh, creative, innovative ideas into all the services and products we offer. At its best, it is a sophisticated approach to learning and change that triggers the inherent curiosity, creativity, and courage of individuals and organizations. It gives people freer access to creative resources, greater tolerance for complexity and ambiguity, more agile, flexible responses to change, and deeper resilience to escalating uncertainty. It helps people to “see systems” and to acknowledge their own contribution to a system’s dynamics. It enables individuals and organizations to strike the necessary balance between stability and consistency, and spontaneity and flexibility. At Innolect, we realize that every organization is made up of a diverse group of individuals. And each person within your organization views business from a different perspective — or through a different lens. Use Innolect’s Zoom Deck to explore diverse perspectives. Innolect uses a sophisticated approach to learning and change that triggers the inherent curiosity, creativity and courage of individuals and organizations. The Innovative Intelligence® approach has evolved over several years and is Innolect’s proprietary model. 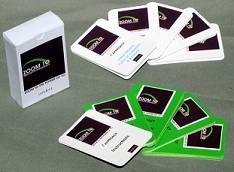 It includes a dynamic set of capabilities and tools to generate and apply creative insights. Our tools help you “see the world anew” and discover meaningful insights that lead to problem solving breakthroughs. Our model acts as a blueprint to help you consistently capitalize on opportunities and foster a more collaborative work environment. 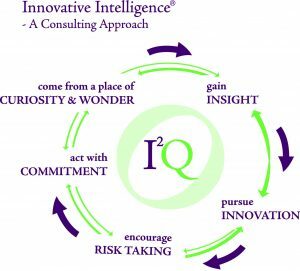 Clarity, Collaboration, Creativity and Courage are the focus of Innovative Intelligence® used by Innolect consultants. These competencies are integrated into our engagement practices and are the foundation for building our internal capacity. Innovative Intelligence® represents the synergy of a number of theories of learning and change. It has solid theoretical and conceptual underpinnings from the applied behavioral sciences, including human and group development, social psychology, organization development, and adult learning.